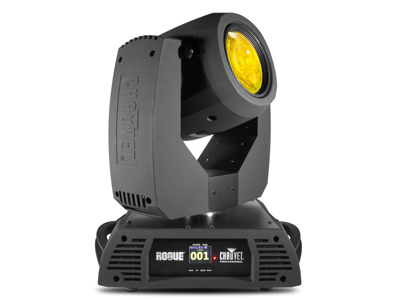 Rogue R2 Beam is the light can­non of the Rogue series, boast­ing an intense 133,200 lux at 15 meters with its Osram Sir­ius 230 W HRI lamp. Rogue R2 Beam comes with 14 fixed col­ors in its ful­ly scrol­lable, vari­able speed col­or wheel, which also pro­vides split col­ors per­fect­ly. Its 8-facet rotat­ing prism pro­vides an end­less sup­ply of cre­ative and dynam­ic beam looks to inspire and ele­vate design options.